On a daily basis, millions of Key Performance Indicators (KPIs) are generated to provide guidance, feedback and direction. Decisions, big and small, find their origin in KPIs. Performance Measurement has become a well established management area and it is hard to imagine that not so long ago we were able to manage our progress with just a few financial metrics. How different it is in today’s day and age. From people to systems and from individuals to organisations, there is little we don’t measure via all sorts of KPIs. A constant stream of dashboards and spreadsheets show us how we are doing and where to go next. But is the KPI indeed the prophetic tool of this era? In this book we'll see it is not. KPIs are frequently irrelevant, or worse, they encourage the wrong behavior. 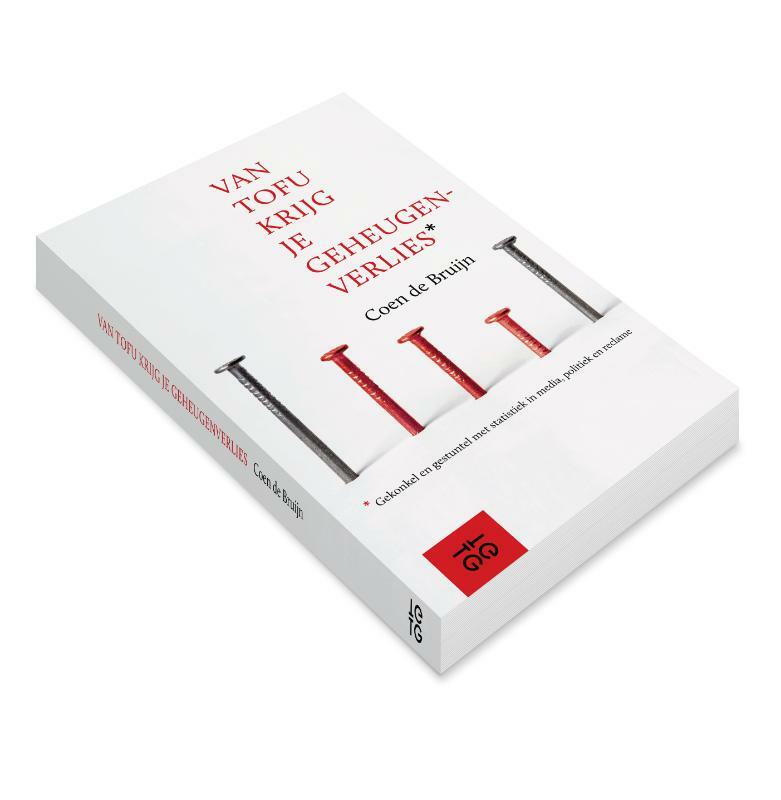 This book provides a comprehensive overview of the inherent problems with KPIs and shows how they are misused, misunderstood and misinterpret. Warning: This book might put your most cherished KPI beliefs to the test. No other management tool is so widespread as the Key Performance Indicator. It is fair to say that it is by far the most common mechanism via which organizations try to measure how well they are doing in terms of strategy, people, processes, technology and finance. At some point in history, consultancy firms, management gurus, experts, accountants, etc. started evangelizing that the more you measure the better. This led to the availability of an increasing amount of measures, which in turn caused a rise in the demand of transparency by investors, regulators, policymakers and the like. What started as a mechanism to measure financial performance ended up being the “holy grail” in the world of management. Over the past decades, a complete new industry has emerged around KPIs, called Performance Measurement. This should however not be confused with Performance Management. While Performance Measurement asks, “How do we track the progress of the strategy we’ve put in place?”, Performance Management was set out to answer the question, “How do we manage the strategy we’ve put in place?”. In recent years, things have become more confusing as in today’s business practice Performance Management usually means the appraisal approach in which employees, together with their managers, evaluate their individual performance. 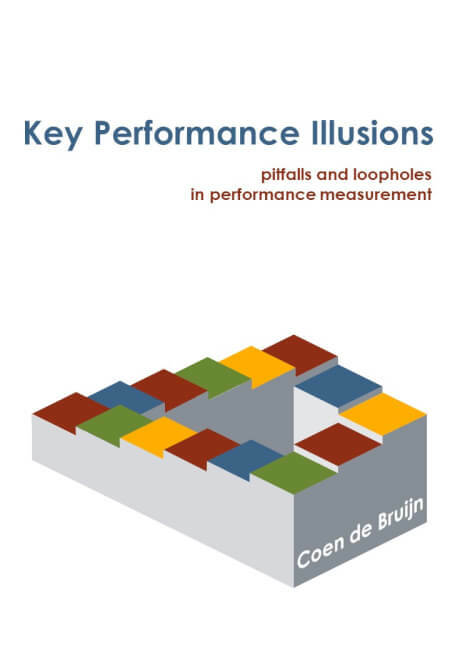 Key Performance Indicators (KPIs) are the underlying mechanism for both Performance Measurement as well as Performance Management and will be the focus of this book. Take a look at some KPIs from a random organization and you’ll notice that it is extremely hard to find common ground for one single definition. Of course, there are many books and websites available on KPIs that provide you with a nice academic definition for KPI. But most of them say little to nothing. These fancy definitions make the mistake by describing the KPI in terms what it should be, rather than what it actually does in practice. 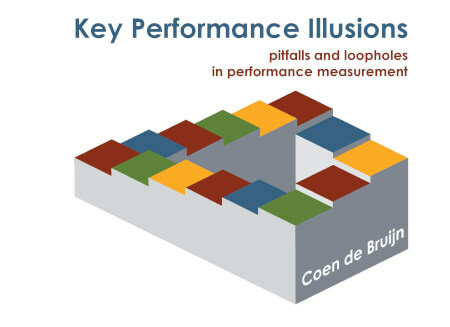 In real life everything can be called a Key Performance Indicator, making it impossible to find one clear definition. I’ll go easy on myself and first start with the three separate words in KPI (key, performance and indicator). The “K” for Key refers to the relative ranking of importance for a particular criticality for current and future success of the organization. The “P” of Performance is a task or operation seen in terms of how successfully it is executed. Performance is supposed to be measured in some sort of unit representing the activity or behavior. In a car this unit could be Miles Per Hour, Revolutions Per Minute, Car Temperature, or Tank volume. The “I” for Indicator is an index or statistical value that represents a certain state in the outside world. See it as the "needle“ indicating a given condition or direction. For example, the speed dial on the dashboard of your car. As stated before, people will call everything a Key Performance Indicator, even when it is questionable whether it is actually key or doubtful if it is really measuring performance. That’s why I prefer to use a definition that might not be as fancy, but at least it can be understood and can be translated to actual KPIs.